Breast Cancer And Dogs: The Next 'Canaries In The Coal Mine'? 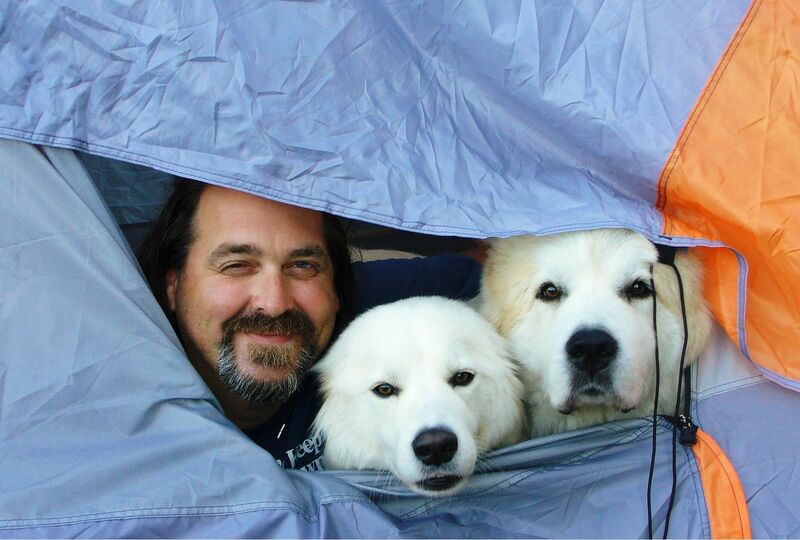 When his beloved Great Pyrenees Malcolm died of bone cancer at age 6, Luke Robinson resolved to learn why. "I didn't even know dogs could get cancer," he said. The nagging mystery would send Robinson walking over 2,000 miles from Austin, Texas, to Boston with his other two dogs to raise awareness for canine cancer. It would also inspire his launch of an organization devoted to finding an answer -- through the discovery of links between dog and human tumors. "Breast cancer was the first cancer we funded," said Robinson, co-founder of the nonprofit 2 Million Dogs. "Under a microscope, a mammary tumor from a dog and from a person look the same." As the prolific pink ribbons seek to remind us this month, breast cancer's grip remains strong and its reach ever-expanding. One in eight women in the U.S. will now face the diagnosis -- a rise of 40 percent in just one generation. Perhaps less well-known, however, is that most breast cancers are not hereditary and that cancer is the leading disease-related killer of dogs, with mammary tumors the most common type afflicting females. (Early spaying significantly reduces the risk of such tumors.) These facts, combined with mounting evidence of harm posed by certain chemicals -- used on carpets, couches, food bowls, squeaky toys and manicured lawns enjoyed by people and pets -- has led some experts and advocates to recommend a shift in breast cancer research and funding. Only about 10 percent of breast cancer research dollars are devoted to its environmental causes, according to a federal interagency report published in February. "Dogs drink our same water, they are exposed to the same toxins," Robinson said. "The logical assumption is that indeed there is an environmental basis for these cancers. But a lot of research and funding comes from pharmaceutical companies. And there's no money in cause and prevention." Overall, growing interest in canine cancer has led to new comparative oncology research at the University of Pennsylvania and Princeton University, with financial help from 2 Million Dogs. Investigators are treating shelter dogs that have developed mammary cancer, while gleaning information about the progression of the disease. The researchers hope to identify treatments that will benefit both dogs and humans. Penn veterinarians previously studied dogs involved in Sept. 11 search and rescue missions thought to be exposed to chemicals in the rubble. They found no elevated rates of major health problems in the decade after the attack. Dr. Rodney Page, director of the Flint Animal Cancer Center and professor of medical oncology at Colorado State University, said his canine research is the only U.S. study underway aimed at identifying potential environmental risk factors for cancer and other diseases. The study, which began in September 2012, is attracting interest from federal agencies, including the National Institute of Environmental Health Sciences. The Golden Retriever Lifetime Study will eventually enroll 3,000 puppies from across the U.S. and follow them for several years. Investigators will collect DNA, urine, feces, fur and toenail clippings from the dogs that may show chemical exposures, and will ask owners questions about their pets' reproductive cycles and living habits. Page noted that his team has been enrolling spayed and unspayed dogs in order to better tease out the role of hormones in breast cancer cases and to ensure enough cases of breast cancer in the study. "This is a unique opportunity and could provide a wealth of information," said Page. Owner questionnaires are quite detailed, asking such things as dog chew toy descriptions, sleeping material details, dog food ingredients and food bowl composition. Page said time is a key advantage of studying dogs. While humans may develop cancer at an average age of 60, the average age of diagnosis for a dog is age 6. And, of course, there are a lot of dogs around to study: about one mutt for every four Americans. "By combining -- on any environmental exposure issue -- humans and dogs in the same location, you can make a bigger case for the potential impact or abatement of a particular thing," said Page, who once mapped cases of pet cancer in Long Island during an investigation of a potential human breast cancer cluster. Another surprising benefit of studying dogs is their mouths, according to Sharima Rasanayagam, director of science for the nonprofit Breast Cancer Fund. Both dogs and humans can absorb chemicals under the tongue. Lab animals, such as the mice commonly used in studies of toxic chemical exposures, only absorb through their stomachs. The sublingual route results in far higher levels of exposure, reported authors of a study published in June on dogs exposed to bisphenol A, a hormone-disrupting chemical known as BPA. BPA and phthalates, key ingredients in many plastics and vinyls, may readily leach from some dog toys, according to a separate study published in November. "We're really living in a soup of chemicals," said Rasanayagam. "Not only do you have carcinogens that can directly cause cancer, but you also have endocrine disruptors that can set you up for an increased risk." Last month, the Breast Cancer Fund published a report linking prenatal exposure to BPA to later-life diseases, such as breast cancer. This month, the organization launched a Beyond the Pink campaign to prioritize prevention. "The pink movement has been fantastic in raising awareness and helping people who get breast cancer to move towards a cure and give them hope," said Rasanayagam. "But what we would love would be for fewer people to get that diagnosis in the first place." "I think we have a lot to learn from our companion animals," Rasanayagam added. Virginia McPhail participated in one of 2 Million Dogs' Puppy Up! fundraising walks last year in Kansas. Her Alaskan Malamute, Storm, was diagnosed with cancer at the same age as Robinson's Malcolm -- and the same week that McPhail's daughter, Mandi Steele, also received the dreaded diagnosis. That Christmas, in 2005, she recalled Storm and Mandi commiserating. "Both didn't feel good. Both did hurt," McPhail said. Mandi died less than a month later from a neuroendocrine carcinoma. Despite a prognosis of six months to a year, Storm went on to live another five years with multiple myeloma. "He was my lifeline," said McPhail. "I think Storm was left there for me." McPhail shared her suspicion that chemicals in the environment may have played a role in both illnesses. Storm would play in the ditches and run through the local farm fields, she said. Dr. Barbara Natterson-Horowitz, a cardiologist at the University of California, Los Angeles, devoted a chapter of her book, Zoobiquity, and much of an upcoming conference, to comparing cancers and possible causes across species. Breast cancer has been found in animals ranging from kangaroos and koalas to water buffalo and beluga whales, Natterson-Horowitz said. "Unfortunately, almost all physicians are quite unaware that nonhuman animals suffer from most of our human problems," said Natterson-Horowitz. "And there could not be a bigger medical problem than breast cancer." Dr. Larry Norton, one of the nation's foremost breast oncologists, may be an exception. He said he keeps an eye on mammary cancers in our mammalian cousins -- including our domestic four-footed friends -- and believes the information these creatures provide may be "potentially transformative" for the prevention and treatment of breast cancer. He will participate in a panel on the topic at the Zoobiquity conference next month in New York. "Mammals are mammals are mammals," Norton added. "We learn a lot from observing the whole collection of animals, and life on earth in general. One is relevant to the other."